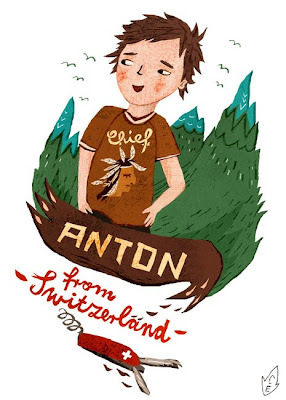 Chief Anton is into wood-carving and hiking of course. Part of a few character pieces I'm doing at the moment. I'm also starting work on a new kids book today! cute! and I like what's happening with those stylized trees. I also love those trees! I can't wait to see the new kids book! love your (He)Art sooo much! !